Classical music lovers now has a chance to add more MP3s into the favorite music collection, for free. Amazon is giving away full complete “Very Best of Naxos Early Music” album for free download in MP3 format without any payment. 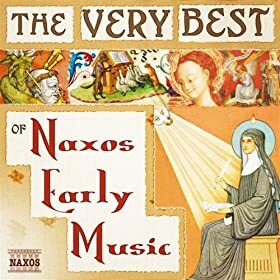 “Very Best of Naxos Early Music” is a compilation album released by Naxos Records, one of the two largest-selling classical record labels in the world, featureing the best from Naxos’ Early Music series. Download the free Very Best of Naxos Early Music full album from Amazon .